Apollo A1 review | What Hi-Fi? 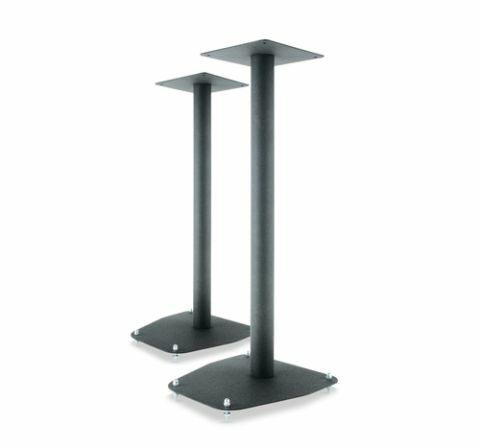 The Apollo A1s are simple, well-finished stands, we like their crackle-black paint in particular. Because they use just one support, they’re easy to build, although we found the included spikes tricky to adjust in situ. Placed underneath a pair of Monitor Audio Bronze BX2s and with a CD of Nine Days’ The Madding Crowd spinning in the drive, we were met with a sound that’s probably best described as ‘subdued’. On the plus side, bass performance isn’t tubby, as it was when we used some price rivals – but overall we just couldn’t get too enthused by the sound we heard with the speakers placed on the A1s. There’s nothing alarming here… it’s just all a bit tired, with a loss of detail, energy and dynamics compared with the best speaker stands around, which also means individual musical parts can become confused.